4Chores is a free online chore-tracking tool that lets parents create chores for their kids to complete. And, if parents pay money for completed chores, kids can print their paycheck every Friday! 4Chores does much more than track chores. It teaches kids about accountability, responsibility, and encourages them to donate time and money to their community. Kids can even use 4Chores to run their own neighborhood business where they can do chores for neighbors, and even donate their time to those neighbors in need. No more refrigerator notes or constant nagging to get chores done, simply create a free account and make chores so your kids can log in to see what needs to be done. When kids log in, they see only what needs to be done that day, and as they complete their chores, the chore is removed from their list and time-stamped in real time. Parents can even edit or track chores in real-time, from any computer, which is perfect for parents that need to add chores on the fly or make sure chores are done! New design, even easier to use! Kids can now create custom 4Chores flyers to generate neighborhood business! 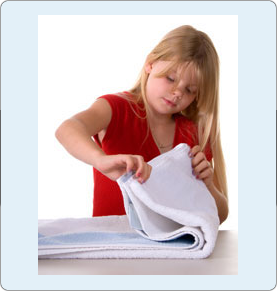 4Chores teaches kids about giving back by encouraging kids to donate a portion of their check! Have a chore that your own kids can’t handle? Maybe you need an older kid who can babysit or help you move? Post your chore on 4Chores.com for only 99cents. Need help but have no money to create a post or pay for the chore? Maybe you need help lifting an item or just bringing in your mail. 4Chores is dedicated to giving back and now lets those in need post for free. Simply use the code DONATE and post your chore. 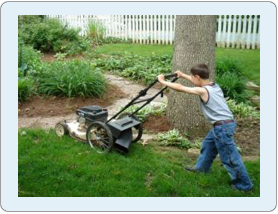 Kid using 4Chores just may be willing to lend a hand for free! Parents can now leave a message for their kids. Want to give them the day off from chores, or want to leave them a positive note and make their day? Create your message now and change it as often as you’d like!